Here are some low carb basic recipes for staples such as bread, noodles, rice, pizza, wraps, and more. Perfect for getting you started! Are you starting out on a low carb diet? I started eating this way in 2008, although I did stop for my pregnancy in 2010/2011, dabbled with an alternative point-scoring weight management system immediately afterwards, found that it didn’t work for me at all, and came straight back to low carbing. I’m not a dietician; I’m just a regular mom who finds the low carb way of eating the ONLY sustainable way of keeping the weight off. When you first start out there is SO MUCH that you miss, that it almost seems impossible. While I recommend a positive attitude and focusing on what you CAN eat, I thought it would be useful to provide a list of some basic recipes that will help you out at the start. There are many variations and alternatives for most of these, and you will find your way over time. Where possible, I have provided a commercially produced alternative to buy as well as a recipe – not everyone has all the time in the world! Any questions, please leave a comment at the end! 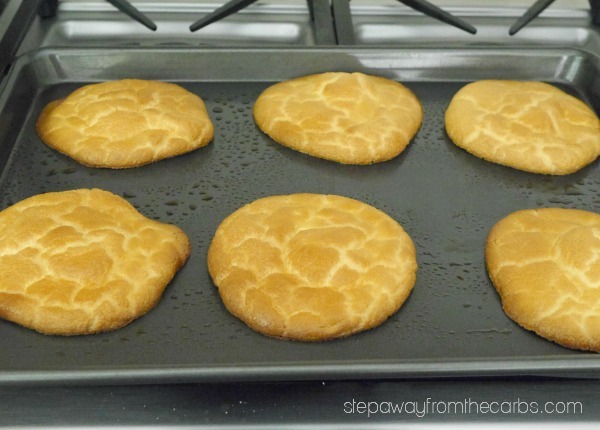 The classic low carb alternative is cloud bread, also known as oopsie rolls. They are great for burgers and snacks, and I’ve even used the recipe to make hot dog buns! If you prefer something more traditional, try this bread recipe from Low Carb Yum which uses coconut flour and almond flour. Low carb breads are easy to buy online – my favorites right now are Love the Taste Bread and any of the products from Great Low Carb Baking Co – both available from Netrition in a variety of flavors. You can even make Bread Pudding with it! The crust of course is the main issue, not the toppings. 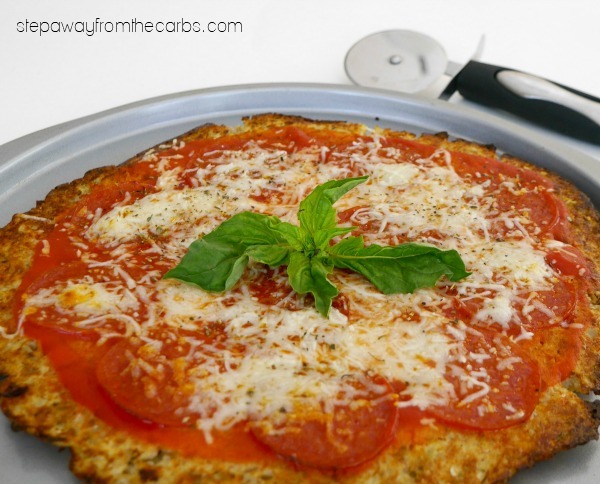 Try this cauliflower pizza base which is tasty and healthy. Or you could skip the crust altogether and enjoy this pizza dip! You can also purchase ready-made pizza bases from Netrition or low carb pizza dough mix from LC Foods. One option is to buy some low carb baking mix like this product from Bob’s Red Mill. But for some people (especially those on keto) the carb count may still be too high. I prefer to use an almond flour base and work from there. Try my low carb almond pancakes, my low carb fluffy pancakes, or my low carb chocolate waffles! 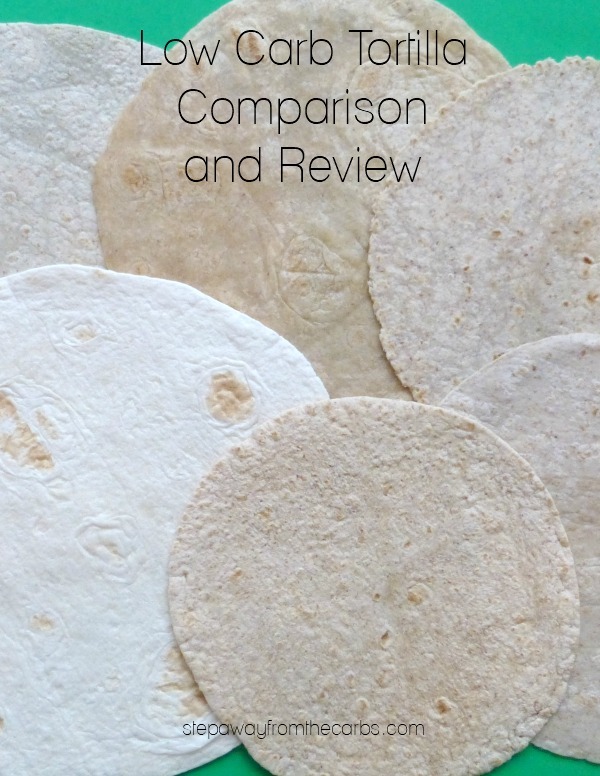 Although you can make your own low carb tortillas, I actually find them quite easy to buy in supermarkets and online. However, I do have a full review of low carb tortillas, and my current favorite is the 3g net carbs tortillas from Mission. I do love egg wraps, though, and of course there’s always lettuce leaves – so easy and tasty!!! The classic alternative to pasta noodles is “zoodles” – strands of zucchini. Spaghetti squash is another great noodle alternative and it is very versatile. In fact there are so many options that I wrote a whole article on low carb spaghetti alternatives! I’m also a huge fan of Miracle Noodles who make all kinds of shirataki pasta and noodles – and most of their products are zero carb! 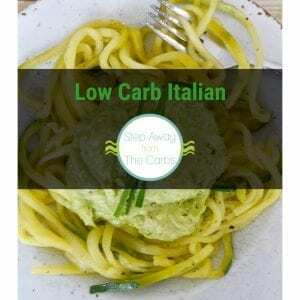 Personally I stay clear of popular brands of low carb dried pasta – they look good but they have a manufacturing process that protects the carb from being digested, rather than being made from low carb ingredients. And that sounds kind of suspicious to me. That being said, I do like the pasta from Great Low Carb Baking Co – you can read my thoughts with this low carb pasta with vodka sauce and chicken recipe. 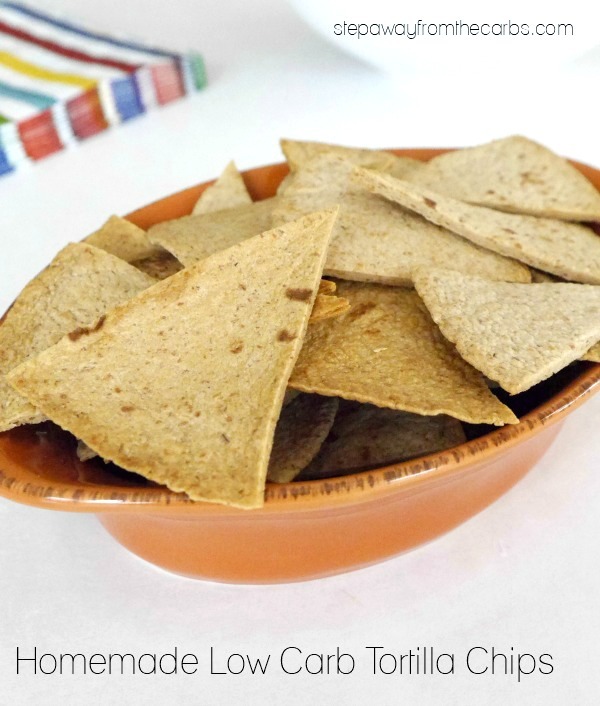 Making your own Homemade Tortilla Chips is SO easy! Follow these simple instructions to make sure you never go without a low carb snack ever again! Cauliflower Rice is the go-to alternative here. You can even use it to make a pilaf! The Miracle Noodles company that I mentioned earlier also make a rice product that I think is very good – and filling! There are, of course many low carb alternatives and substitutions for all kinds of food. I’ve covered some of the basic savory options above, but I do just want to mention one more. There are SO MANY sweeteners out there, it is a complete minefield. I’d like to refer you to this excellent article from Low Carb Maven who compares them all for you. If you’ve got any sort of sweet tooth at all, finding the right low carb sweetener is absolutely essential! Personally I mostly use xylitol or Swerve for baking and desserts. If I’m making drinks or sauces then I’ll use zero carb Da Vinci Sweetening Syrup or liquid stevia. Sweeteners are probably the most controversial aspect of following a low carb diet! 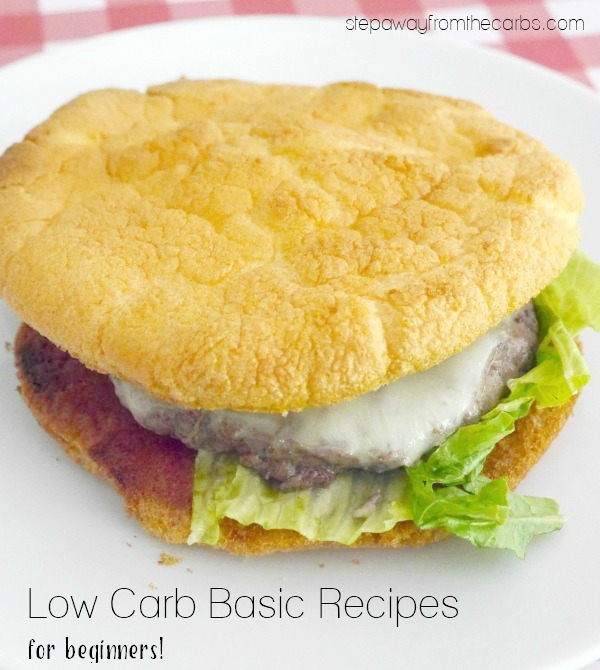 Are you looking for any other low carb basic recipes? Either try the SEARCH option at the top of this page or leave a comment below! 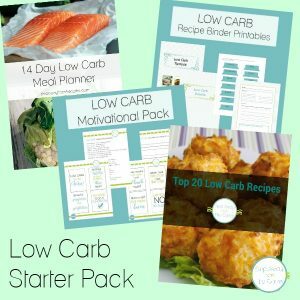 Check out my Low Carb Starter Pack Ebook! 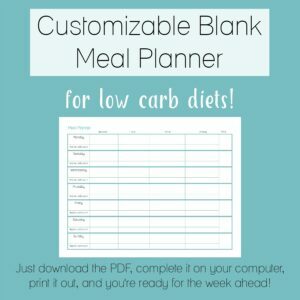 Are you just beginning your low carb journey? Check out my starter pack of printables! All my favourites in one place. Thanks Georgina! This is a great post showing new low carbers that there are options available to replace some of the higher carb foods they once relied on. Thanks for linking to one of my articles. I will share this valuable post on social media. Zoodles are my favorite! Thanks for sharing all this great information in one place! This is a good refresher for me because I didn’t stay on my low carb diet before due to lack of food ideas. 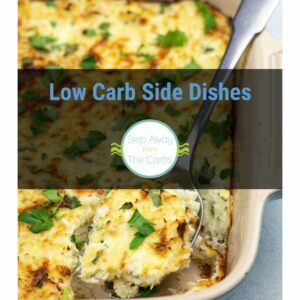 Plenty of good recipes here for helping make the low carb lifestyle more fun with the variety of food. Thank you so much for the feedback, Michael!